Join Mr Mustard and his fellow spotted friends on Jack's beach for a rather energetic walk through the sand! 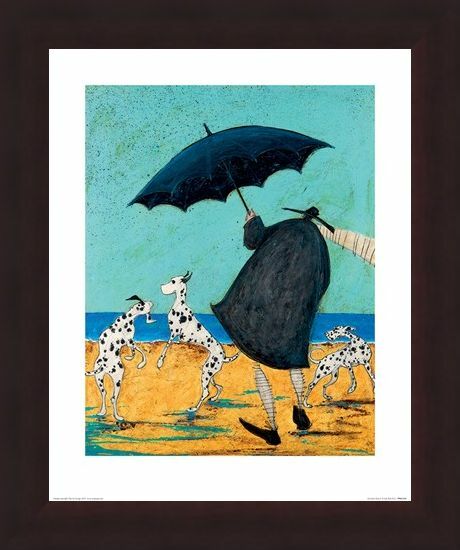 This comical art print depicts Ernest Mustard struggling with his umbrella whilst three crazy hounds play in the puddles. The royal blue sea and golden sand may look appealing but Ernest's winter coat and umbrella suggest otherwise! 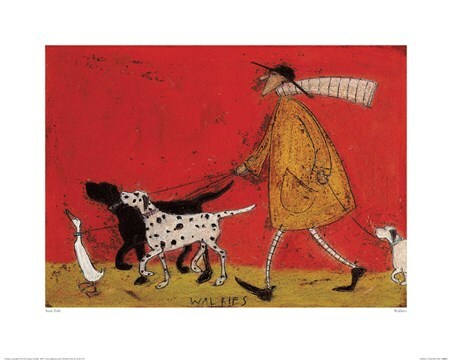 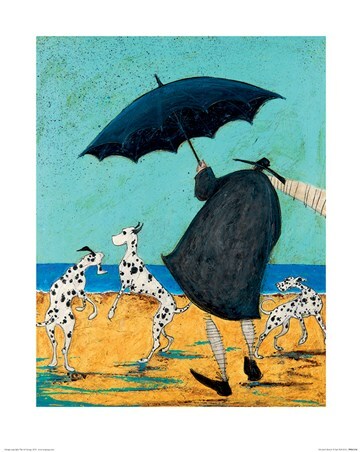 Another fantastic depiction of real life through the eyes of Sam Toft! 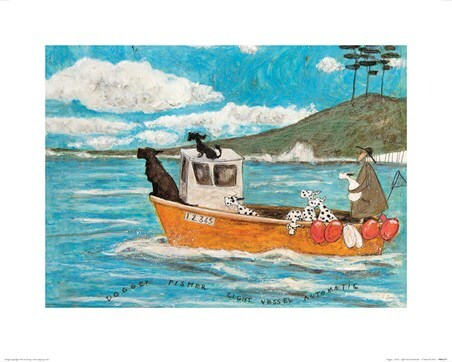 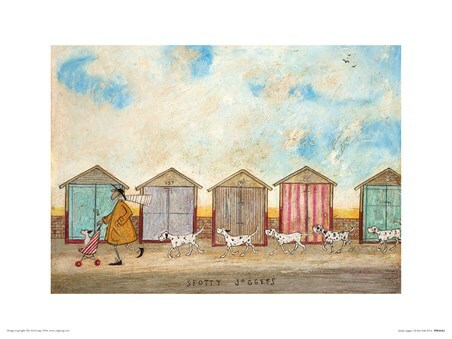 High quality, framed On Jack's Beach, Sam Toft print with a bespoke frame by our custom framing service.